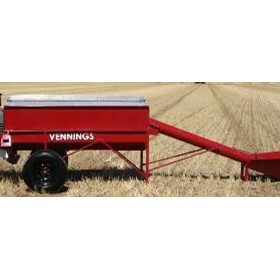 Vennings, the longest family owned and operated bulk grain handling manufacturer in Australia was started in 1951 by Keith and Dudley Venning. Today the company is directed by the next generation of Robert and Richard Venning, with a third following in the footsteps. Since Vennings opened their doors, we have developed a vast array of equipment to suit any requirements in the bulk grain handling field. A major employer in the Northern Yorke Peninsula region of South Australia, we have two factories. Head Office at 40 Moonta Road, Kadina, This is where all augers are manufactured. This office also has a huge selection of hand and electrical tools like Sidcrome, Kincrome, Stanley, Metabo, Makita and Hitachi and just to name some, We also stock safety and precision engineering equipment. Our other factory, Venning Engineering, is at Martin Terrace, Kadina. This was purchased in 1982. Products made at Martin Terrace include seeding and harvesting equipment, seed silos and grain cleaners.